It is 8th December 2012 and I am sitting down to an early Christmas feast with some close family on the Isle of Mull before we later spread out across the country to see others. I am aware that it is Western States Lottery draw day but the statistic I’d absorbed earlier was at the forefront of my mind – just 7% likelihood of one ticket-holders being picked. Hardly worth a second hope. I subtly balance my phone on the edge of the table, keen to keep up with my family’s animated conversation. I am following Ultra 168, the Sydney-based ultra running podcast, who are tweeting every name drawn. I steal a glance at the feed, then freeze and double take; “First UK pick. Congrats Caroline McKay from Edinburgh.” The moment is entirely unexpected and surreal. I struggle to stay calm and seated, instead trying to explain a bit about the race and its significance to ultra running to my bemused family. I ran my first ultra marathon in 2010, after taking up shorter running races when I graduated in 2004 to help me stop smoking. My three years at university in Manchester were the unhealthiest, most rebellious of my life to date, some I do not wish to repeat. Something shifted after my mother died from cancer in 2005 and over the next few years I ran more, instinctively reverting to the more outdoors lifestyle I grew up with – a better and more natural outlet for my energy. Growing up on Mull to marine biologist parents with a mussel farm, my brother and I spent much of our time outdoors and exposed to the wild west coast elements, helping on the boat or playing on the shore. 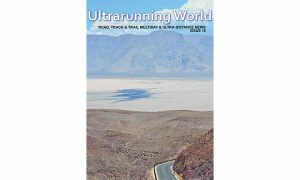 I threw myself headlong into the world of ultra running. I loved the off-road nature of the races, the exhilaration of taking on a day-long adventure and most of all, the beautiful scenic backdrops to many of the events. 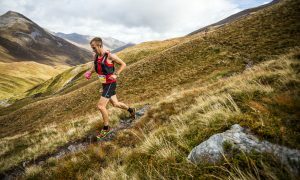 I ran 5 of the Scottish Ultra Marathon Series in 2011 as well as a couple more off-season races, before graduating to a couple of longer expedition-type runs in Scotland and the US and the 95-mile West Highland Way Race last year. I realised just how many incredible races exist, many perfectly situated in parts of the world I’d like to visit. The Western States Endurance 100 Mile Run was born in the 1970’s from a race called the Tevis Cup, a punishing 100-mile horse race where riders led their horses from the high country of the Sierra Nevada mountain range, through baking canyons, wilderness and river crossings to reach a small gold mining town called Auburn. One year, a man named Gordy Ainsleigh decided to attempt to run the course instead, after his horse pulled up lame days before. He completed the run in under 24 hours, changing widely-held beliefs that running 100 miles was humanly possible. Thereafter the Western States was established. Today, the race is still run along the same route, featuring some 22,970ft of descent and 18,090ft of ascent. Runners traverse remote and rugged wilderness areas, from snow and ice in Squaw Valley to baking heat in the canyons throughout the middle of the course. Those finishing in sub-24 hours receive a handcrafted silver belt buckle and those finishing in under 30 hours (the cut off) receive a bronze buckle. The Sierra Nevada wilderness is rich with wildlife, so runners must be acutely aware of what is around them at all times – rattlesnakes, bears and mountain lions have surprised people in the past. In fact, the current female course-record holder, Ellie Greenwood, came face-to-face with a bear with its cub during the 2011 race, but fortunately was able to edge past it to finish as first female. 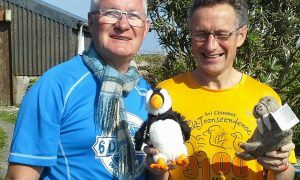 The support available to runners is incomparable to any other ultra marathon – there are 1,500 volunteers, aid stations stocked with buffet tables and medical support ready to help along the entire course. Because of this, runners do not have to have a crew – but most do – and are also permitted pacers from Foresthill aid station, at mile 62. It is now a few months later and suddenly there are less than 20 weeks until 5am on 29th June, when I will be standing on the start line, mile 0 of 100 miles across the Sierra Nevada mountains. Being the only UK female and just one of two British to be picked in the Lottery, I am absolutely determined to seize the opportunity with both hands and both feet and run the best Western States I can. This means being as physically and mentally conditioned as I can be. Having run a few late autumn ultra marathons in 2012 and sustained decent mileage over the winter before racing two more ultras in early 2013, I have an adequate base. However, this requires a lot of sharpening and I need to integrate targeted sessions and higher mileage to ensure I am training to ‘acute peak’ for the Western States. One focus is downhill work, to strengthen my quadriceps and prepare my body for the downhill assault it will endure on race day. Another will be heat acclimatisation, which I am due to train for in a specialist heat and altitude chamber at Napier University. But the central theme to my training over the next 3 months will be consistency – in mileage, mental fortitude and back-to-back runs in mountainous terrain. Next month I will report back on my heat training and other preparations – until then, happy ultra running! Caroline McKay is an ultrarunner living in Scotand and working as a Development Manager at the Royal Botanic Garden, Edinburgh. Having run many ultras, Caroline drew a ticket in the lottery for the 2013 Western States 100 mile Endurance Run in California in the USA and will be sharing her preparations for the event with a short series of articles for Ultrarunning World for which we are very grateful. 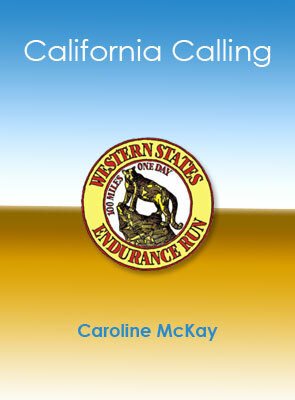 2 Responses to "California Calling: The Western States 100 – Caroline McKay"
Hi Caroline, a well written post, many thanks. I was also amazed to find out I will also be joining you in June in Squaw Valley, all being well, and am also a Brit but they have registered me as to where I live – Monaco. I am looking forward to the race although my training was somewhat interrupted with a car crash earlier this year. I’m looking forward to keeping up with your progress, and perhaps meeting you out there! Hey Ben – great to hear you’ll be on the start line too! Hope recovery from the car crash has been swift and hasn’t interrupted training too much. Be great to meet you out there, I’ll be out 10 days early to get to know the trail so if you’ll be around then we can swap details.